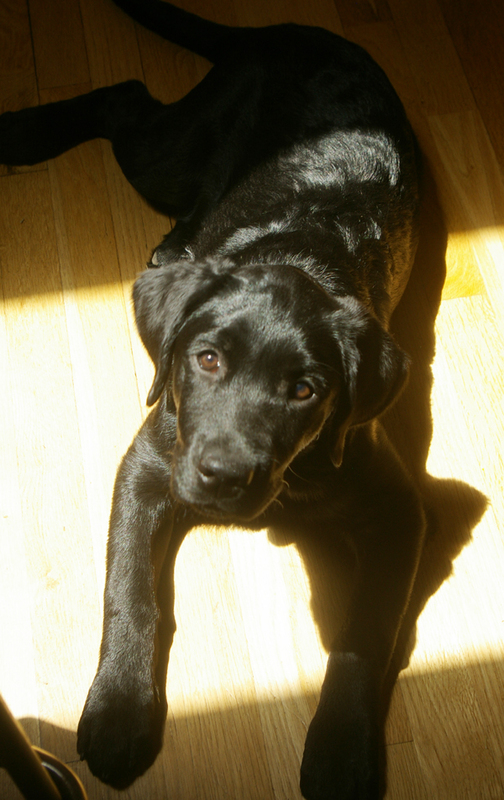 …than a very, very shiny black puppy, lying in the sunshine? Darby Performs with Drill Team! 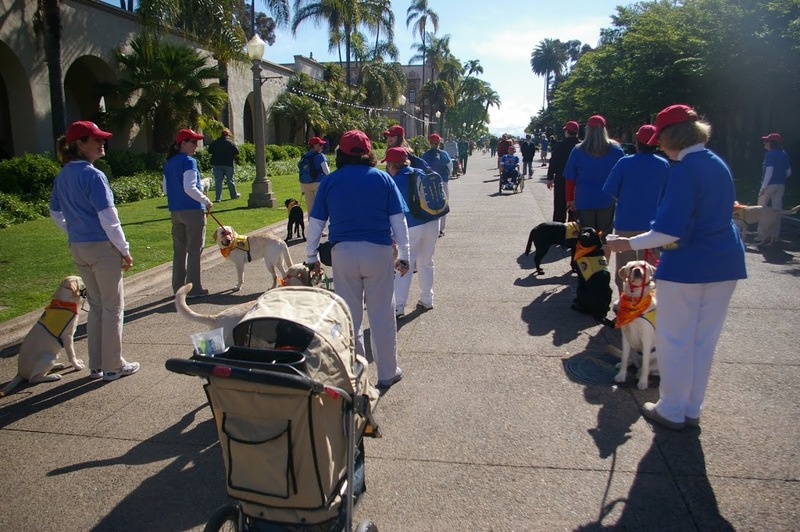 Here’s the CCI Southwest Regional Puppy Precision Drill Team performing at Balboa Barks yesterday, and there’s Darby in the stroller at the back. So she’s not exactly performing. 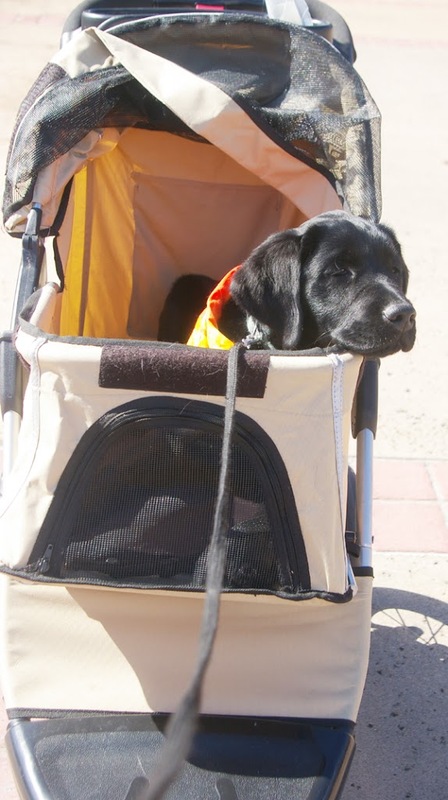 But at least she got to participate, thanks to Patty Urie, the drill team founder and organizer and owner of the puppy stroller, which she very generously has loaned to us. 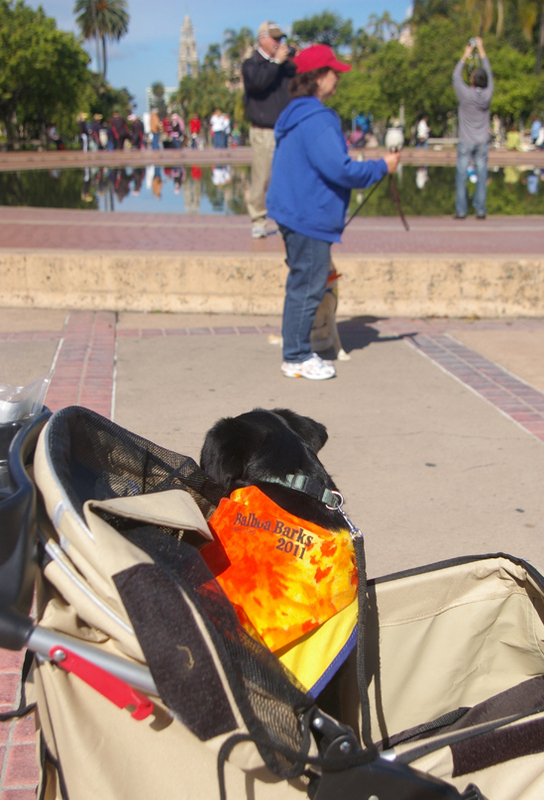 But in the stroller, Darby was protected from most of the excitement. I learned that she was even capable of sitting and staying nicely when I put the stroller top down. This made it seem more like she was drilling with the team. Darby says, however, that she’s looking forward to the day when she can participate like a big girl. We haven’t been back to the vet’s in a while, other than to receive her second round of puppy shots. We’re taking the advice of CCI’s vet in Northern California and figuring if Darby doesn’t have any symptoms of urinary distress, all’s probably well. She’s sleeping through the night with no problems, and she’s having practically no accidents in the house. When she’s out of her kennel and the door is open, as it is increasingly since it’s spring, she will spontaneously go out to urinate and defecate. The only recent accidents have come when a visitor arrives and excitement causes her to pee. So life is vastly smoother than it was when she was a brand-new arrival, just a month ago. 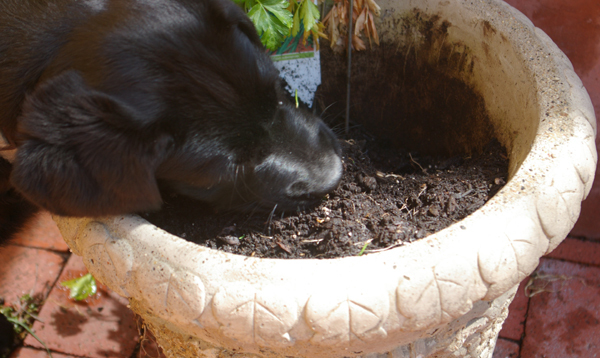 Here Darby attempts to murder my newly planted garlic chives. Delicious! 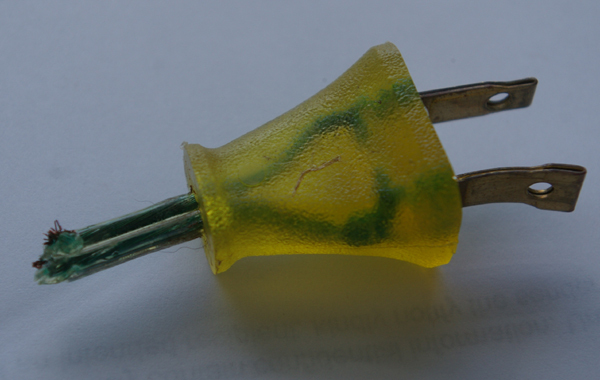 Once, this was the plug on the end of the lamp in my office. Then someone chewed it off. (Fortunately, it was not plugged in!) Who could the culprit be? He always seemed bright and eager to please, to us! We’re hoping as he becomes more at home there, his true colors will show through and he will strut his stuff, as our mentor LeAnn always says.